Avinger (NSDQ:AVGR) said today that it won FDA 510(k) clearance for its Pantheris SV small vessel image-guided atherectomy system. The Pantheris SV is an extension of the Redwood City, Calif.-based company’s lumivascular image-guided atherectomy platform which it hopes will expand the available market for its Pantheris devices by up to 50%. The newly cleared device features a lower profile and longer length than the standard Pantheris, and is indicated for diagnosing and treating peripheral artery disease in small vessels between 2mm and 4mm. “We are excited to receive U.S. pre-marketing clearance for Pantheris SV, which we believe could expand our addressable market for atherectomy procedures by as much as 50%. With the clearance of this new device, we are well-positioned to build on the positive momentum we have seen in our Pantheris business since the introduction of the next-generation system in 2018. Following our anticipated limited launch of Pantheris SV, we plan on leveraging our growing commercial infrastructure and installed base of Lumivascular accounts to efficiently scale up the introduction of Pantheris SV and drive growth of our Pantheris product family in the second half of 2019,” prez & CEO Jeff Soinski said in a press release. The company said that it is planning to initiate a limited launch of the Pantheris SV at several U.S. sites, and that it expects distribution to expand as it builds product inventory and gains additional clinical experience. “This product line extension represents a significant advancement for patients with PAD, in particular those suffering from the complications of small vessel disease. Treating small vessels presents a number of challenges and physicians have had a limited set of minimally invasive tools that can provide safe and effective outcomes for this high-risk patient population. Pantheris SV uses a combination of directional atherectomy with onboard image-guidance to provide several potential clinical advantages, including an enhanced safety profile, the ability to maximize luminal gain without causing vascular injury, and precise vessel measurement capabilities,” chief medical officer Dr. Jaafer Golzar said in a preapred statement. Avinger said that the Pantheris SV won CE Mark approval in the European Union last October. The company submitted an FDA application for approval for the Pantheris SV last August. Silk Road Medical late yesterday priced its initial public offering, looking to raise approximately $120 million. The Sunnyvale, Calif.-based company said it plans to float 6 million shares of its common stock at a price of $20 per share. The offering also includes a 30-day underwriters option to purchase an additional 900,000 shares of common stock. Silk Road Medical produces the Enroute transcarotid neuroprotection and stent system, which is intended for use during the transcarotid artery revascularization procedure, or TCAR. The TCAR procedure is intended to treat blockages in the carotid artery that are at risk of causing a stroke, the company said. The company said that it plans to use the cash to expand its sales force and operations, increase R&D including new clinical trials, expand internationally and possibly acquire new ventures or technologies. The company said it plans to list under the “SILK” symbol on the NASDAQ exchange, according to a press release. Silk Road has raised at least $104 million since 2015, when it first won 510(k) clearance from the FDA for Enroute in carotid stenting and angioplasty procedures. Pre-market approval for high-risk patients followed in May of that year. Surmodics (NSDQ:SRDX) shares fell last week after the FDA wrote a letter to doctors detailing a trend of heightened mortality in people with peripheral artery disease who were treated with paclitaxel-coated devices. In an SEC filing, the company said that it’s working with the FDA to clarify how the company should proceed with an ongoing clinical trial of its paclitaxel-coated SurVeil balloon. The post Surmodics shares down following FDA’s paclitaxel device update appeared first on MassDevice. The post FDA updates docs on review of paclitaxel devices for PAD appeared first on MassDevice. The journal Circulation said this week that the all-cause mortality rates in a study comparing a paclitaxel stent and percutaneous transluminal angioplasty in people with peripheral artery disease were “inadvertently reversed” by the authors. In the first version of the paper, originally published in 2016, researchers reported that the 5-year all-cause mortality rate for people treated with Cook Medical‘s Zilver PTX stent was 10.2% and 16.9% for the PTA group. But the correction reversed those numbers. The post Late mortality rates ‘inadvertently reversed’ in 5-year study of paclitaxel-eluting stent appeared first on MassDevice. Hancock Jaffe Laboratories (NSDQ:HJLI) said today that it launched the first-in-human study of its VenoValve device, touting its successful implantation in the first subject in the study. The VenoValve is a porcine valve designed to be implanted into the femoral or popliteal vein to treat lower limb chronic venous insufficiency from damage to leg vein valves after deep vein thrombosis, the Irvine, Calif.-based company said. Hancock Jaffe said that the first patient in the Bogota, Colombia-based trial was walking a day after surgery and that the VenoValve appears to “be functioning as it should” with no early signs of thrombosis, reflux or other adverse events. The trial aims to enroll an initial 5 to 10 patients with severe, deep venous chronic venous insufficiency. Patients in the trial will be implanted with the VenoValve and monitored out to six months with duplex scans to measure reflux time. Endpoints for the study, which were announced last month, include improvements in reflux time measured by duplex scans and rVCSS, VAS and VEINES scores, which are used as clinical measurements for venous disease. Hancock Jaffe said that patients in the trial will be monitored at regular intervals, with a focus on 90 and 180 day results. “We are so excited to get our VenoValve study underway and are thrilled that the first patient is doing so well. We will continue to monitor the patient for the next few weeks and then proceed with additional VenoValve implantations,” CEO Robert Berman said in a press release. Hancock Jaffe said it plans to release preliminary data from the first group of VenoValve recipients during the second quarter of 2019, with patients continuing to be monitored out to six months. The post Hancock Jaffe launches first-in-human VenoValve study appeared first on MassDevice. Medtronic (NYSE:MDT) said last week that it inadvertently omitted an undisclosed number of patient deaths from recent studies of its paclitaxel-coated balloons. The company noted that the mistake ultimately does not affect the conclusion that there was no statistically significant difference in all-cause mortality between its In.Pact Admiral drug-coated balloon and plain balloon angioplasty at five years. The post Medtronic: Patient deaths left out of paclitaxel-coated balloon analysis appeared first on MassDevice. 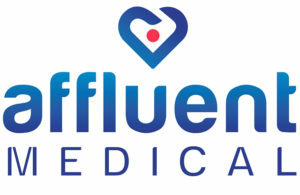 Medtech startup Affluent Medical (Paris, France) said a study of its endovascular aneurysm repair (EVAR) system device showed patients had fewer endoleaks and needed fewer secondary interventions, and that their aneurysms shrank in volume and diameter. The company’s Kardiozis endovascular prosthesis uses thrombogenic fibers to embolize an abdominal aortic aneurism sac during a conventional EVAR procedure to prevent endoleaks and the recurrence of the condition. The Scope 1 randomized, controlled, multicentric clinical trial enrolled 102 patients at four sites in France, beginning in 2013. With a 24-month follow-up after implant, the study group of 46 patients had an endoleak rate of 47% compared with 78% for the control group. Aneurysm volume was reduced by about 55%, and no complications related to thrombogenic fibers embolization were observed, the company said. Principal investigator Dominique Fabre, M.D., presented the results at the recent Controversies And Updates in Vascular Surgery congress in Paris. “This is a long-awaited clinical improvement in EVAR outcome that can be standardized in a ready-to-use thrombogenic fiber-coated prosthesis providing the same functional embolization as in the SCOPE 1 study,” Fabre said in a prepared statement. The Kardiozis technology can be applied both to existing endoprostheses on the market via corporate partnerships and to Affluent’s own endoprosthesis, which is under development, according to Affluent Medical CEO Daniele Zanotti. The company intends to launch Kardiozis in Europe by 2021. The post Affluent Medical touts results of endovascular aneurysm repair study appeared first on MassDevice. HeartFlow this week published the findings of a 1,500-person consumer survey, reporting that just 29% of respondents knew that heart disease is the No. 1 cause of death among adults in the U.S.
Half of the survey’s participants said that breast cancer is the leading cause of death among women, rather than heart disease. “We are aiming to raise awareness that heart disease is the leading cause of death for both women and men. It’s not just a man’s disease, as commonly thought,” Dr. Campbell Rogers, HeartFlow’s chief medical officer, said in prepared remarks. “The symptoms for women are often different than the classic ‘clutching of the heart’, so it’s important for both women and men to visit their doctor if something doesn’t seem right,” he added. In the survey, 77% of respondents said they were worried about their heart health but 67% added that they’ve never sought out diagnosis or treatment. HeartFlow also reported that 78% of the survey’s participants said they trust technology powered by artificial intelligence to assist doctors and that most respondents believe that a combination of technology and human analysis leads to the most accurate diagnosis. The post HeartFlow publishes findings from consumer survey appeared first on MassDevice.